Happy Fall! 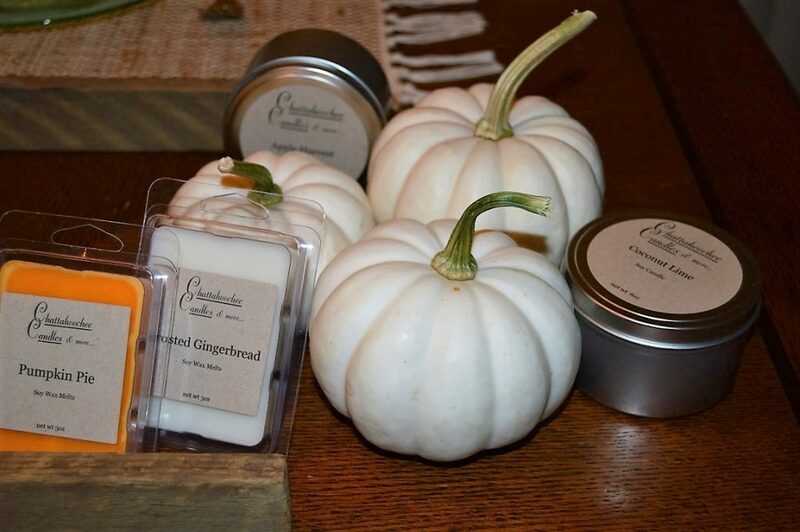 Leaves are turning, the air is cool and crisp and it’s time for pumpkin picking and candle burning! I decided to start things early this year and try to really enjoy everything the season has to offer. Chili fests, pumpkin picking & painting, decorating the house and making sure we soak up every minute with family time! Aside from going out and about, I am getting excited for dinner in the crockpot and one dish meals I can pop in the oven and forget about! Who’s with me? 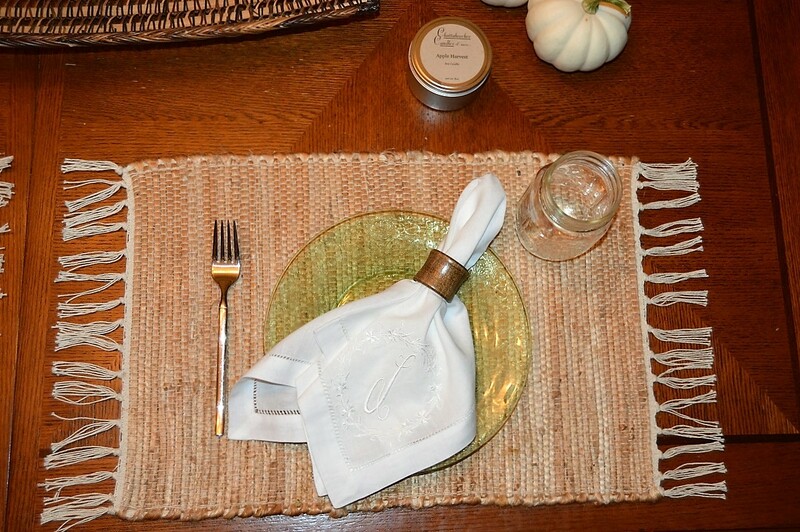 I love to make my table decor match special events and seasons. I don’t have all the money or storage in the world so making it work on a budget with a few staple items is what I’m all about. 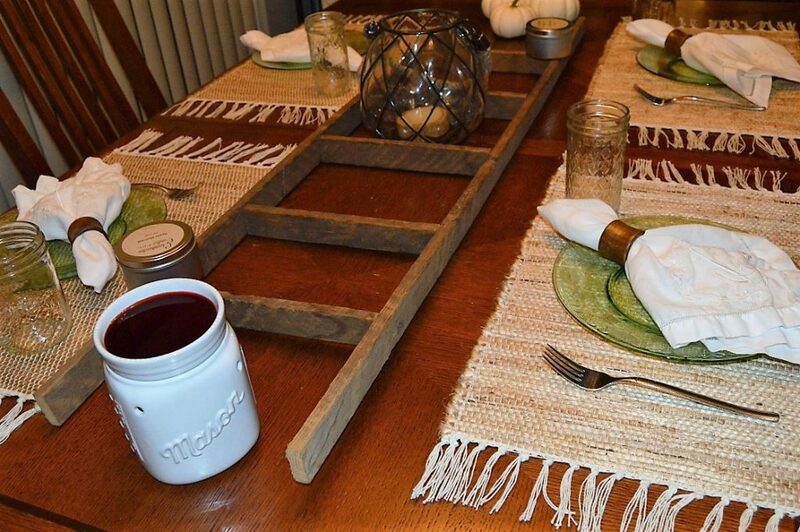 Here are some items to make your table Fall-cozy on the cheap. Mason jars, I think these guys are timeless. 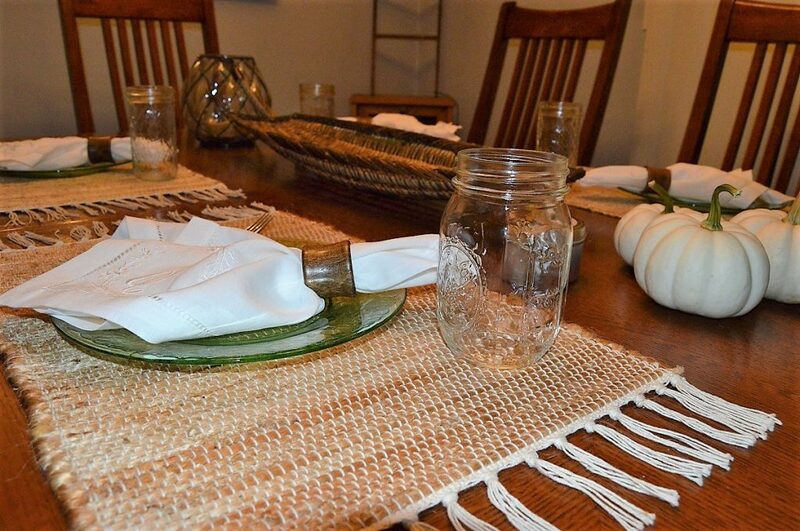 I use mason jars for everything from vases and drinking glasses to gifts and storage for sauces & dips. 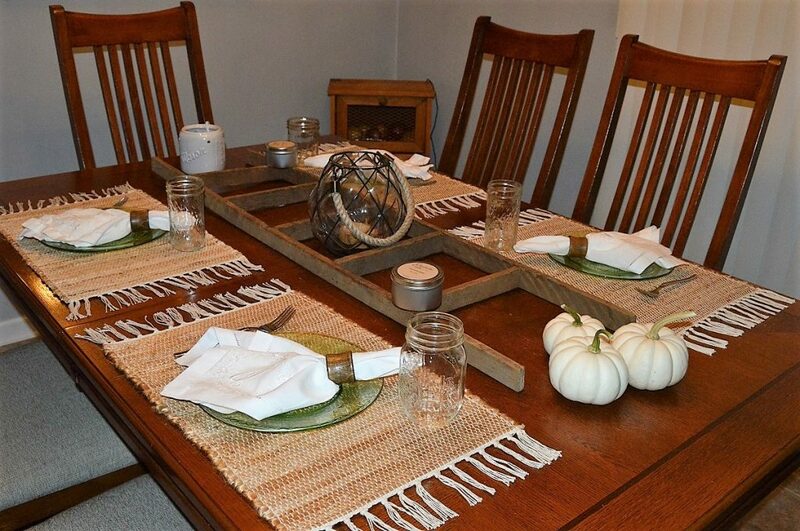 Using different shapes and sizes makes the table look fun and cozy without feeling stiff or overly fancy. It gives texture and a feeling of relaxation ( in my non-expert opinion ). 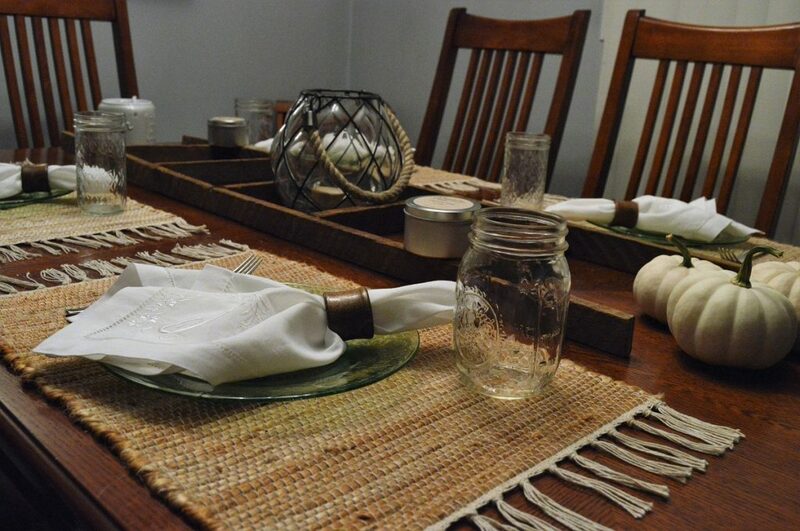 I like handled mason jars for parties where people will be walking around & mingling and basic mason jars ( here or here ) for seated dinner parties or brunch. I’m thinking this Apple Pie Moscow Mule recipe will be first on the list! Silverware, plates, serving dishes and napkins are items that you don’t need to buy for every season or holiday – it’s so difficult to store and can be expensive in the long run – especially if you want to change it every year! I have basic everyday dishes but I also have Green Depression Glass which was my Great Aunt’s and I love using these for small, intimate occasions. It feels like I bought new items without doing so! Get a similar feel by going to tag sales or your local consignment store! 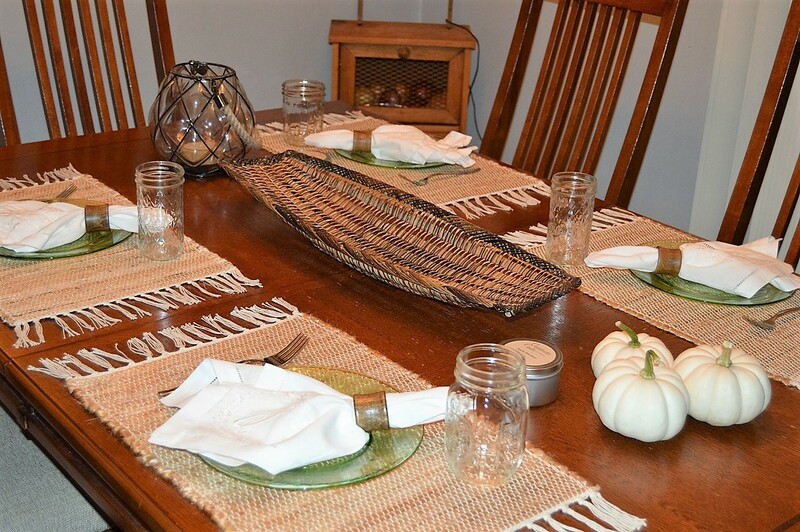 Table runners are my next must-have item to pull the table together and make it cozy. I’ve bought and returned and borrowed every runner under the sun to find the perfect one that can be used over and over. I love this ruffle runner or this macrame runner. Having a kids table? I bought this coloring paper runner for kids to color until their hearts can’t color anymore! Genius. Smells of the season! To be fair, Fall candle selections are probably my favorite of all. With the windows open and the cool breeze blowing from room to room, is there really anything better than Macintosh Apple to accompany it? My friend and small shop owner of Chattahoochee Candles Company ( IG chattahoochee_candles ) was generous enough to send me some items from her collection to try! 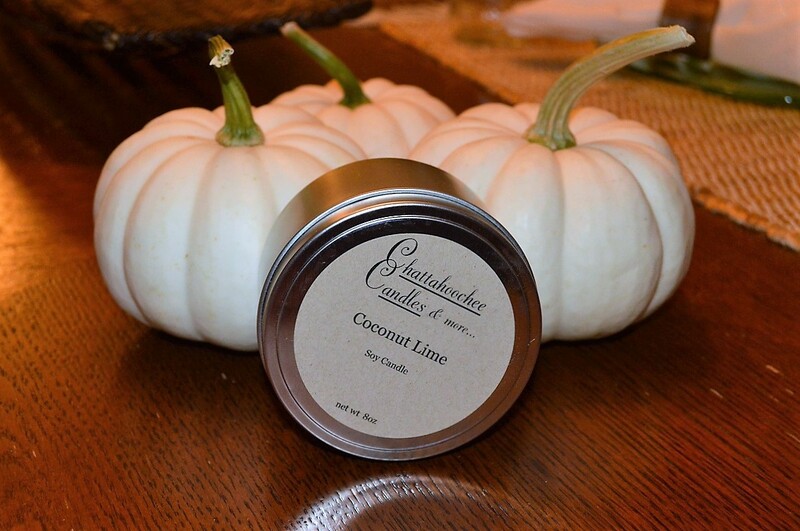 These soy candles smell amazing and last for hours. If you have children or animals and candles aren’t for you, they also offer wax melts that are so luxurious and yummy! Aside from candles and melts, they offer bath salts and soon to be bath bombs! 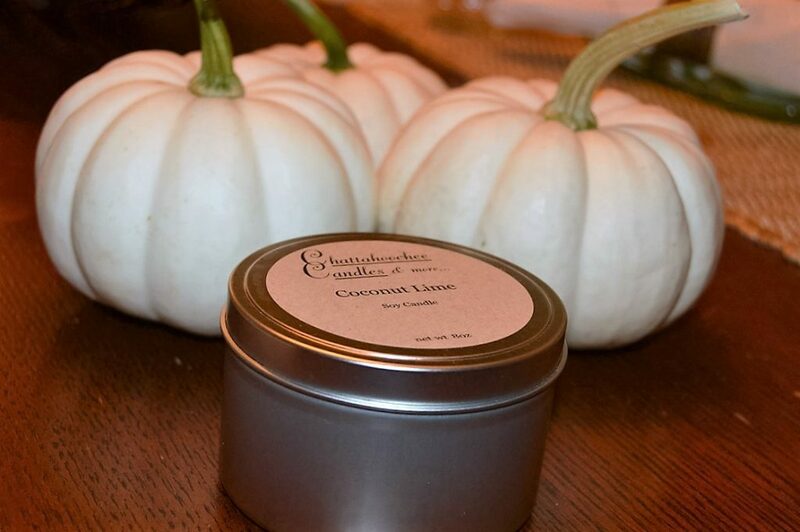 To top it off, we have a special Giveaway happening where TWO readers can win either a Chattahoochee Candle & Wax Melt or A Mason Jar Warmer & Wax Melt! If you don’t win, don’t worry! Use code ” FALL25 ” for 25% off your entire purchase! Code will expire on October 31st! Happy Shopping Ghouls!! 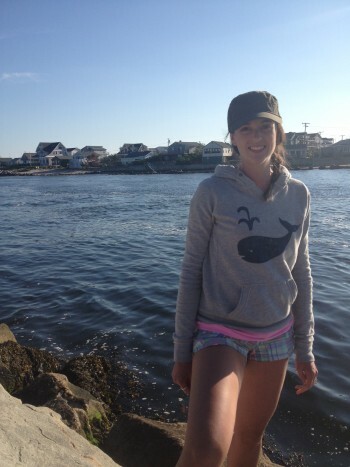 Thank you Jessica for helping sponsor this post and sharing your love for candles with us! This entry was posted in Uncategorized on September 22, 2016 by Danielle Laroche. Yass candles I need some in my life!! I love anything pumpkin and apple scented! I love fall so much! !